It’s racing time…again, only this time we get to do it on ATV’s in an assortment of random stages fraught with multiple paths and extreme layouts. For those unaware, ATV Drift and tricks is from the same makers as Moto Racer 4, released earlier this year, and like that title, this suffers from almost all the exact same issues that game did plus or minus 1 or 2 more. Dual Shock is the only option available and if you played MR4 then you will be instantly familiar with the controls here. Accelerate, turn, e-brake and brake are all here as well as timed landing boost if you land on all 4 wheels. In the flat version of the game you can perform tricks, and you can do the same in VR but no thought was put into transitioning these tricks into VR and while you can still perform them, they serve no purpose in the VR portion of the game. It’s quite clear that the exact same engine used in MR4 has been carried over here in all it’s (not so much) glory. The menu system, character selection and loading screens are identical in layout as are the in-game visuals. That’s not necessarily a bad thing as it does make this feel like a franchise type game, but unfortunately the same VR shortcomings from its predecessor have been carried over here. Levels look…ok at first, but close examination reveals terrible pop-in, poor aliasing, bland textures and poorly rendered details that just look awful. Some levels fair better than others in this regard, but overall stages feel a little lifeless…especially since you’ll be traversing these courses alone. On the audio side, I must say that I was a little impressed as the ATV noises sounded authentic and great. The revs of your engine, the impact of tires on the dirt and the transition from different road types all made for an excellent auditory experience. Some music played in the background too, but it was a little on the quiet side and so generic as to be forgettable. 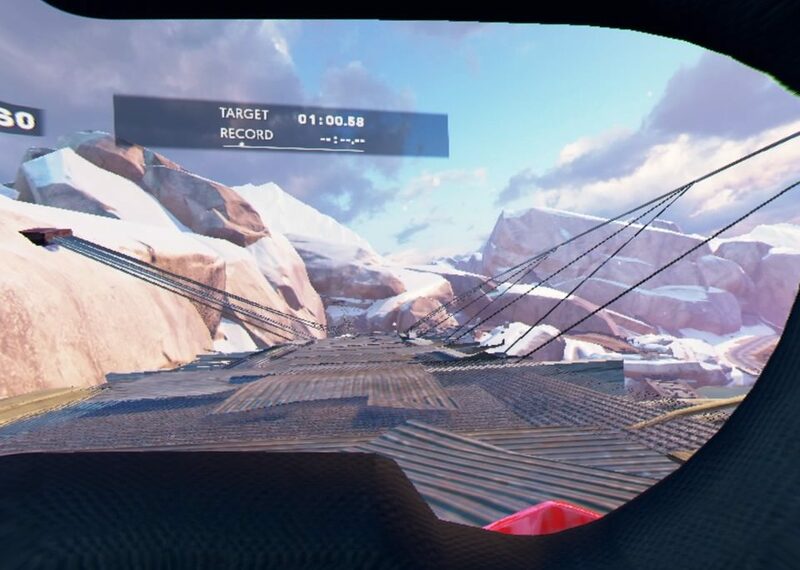 Only 2 of the games modes are available in VR, Time Trial and Hot Lap and both play identically with Time trial ending after 3 laps and Hot Lap going on as long as you want to get the fastest single lap time. There is no one to race with and at the games onset, only a handful of the tracks are available to race on. To unlock the rest of them, you have to play in non-VR championship mode. It still bothers me, in any game, that to access the VR content, you have to play out of VR which hampers the experience for those just looking to immerse themselves a little further in a game. 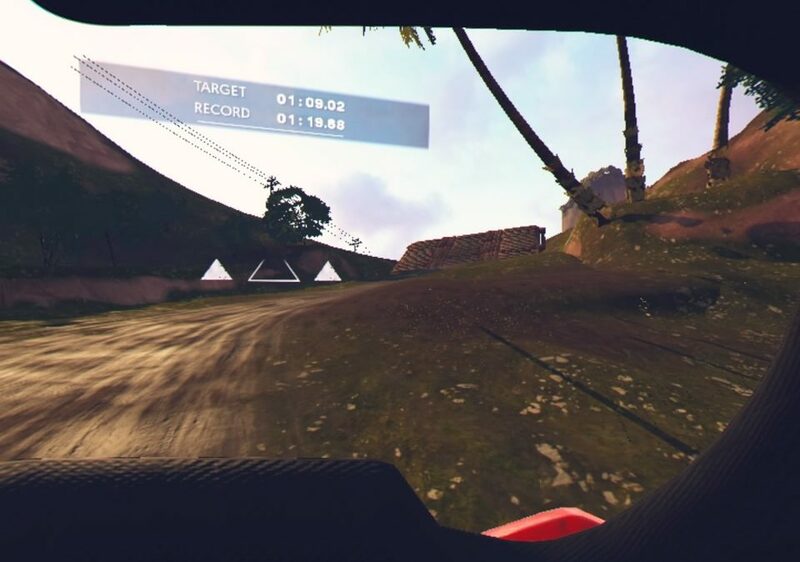 When compared with Moto Racer 4, it may be hard to tell games apart as they even share a few levels. Some have lamented this as lazy and even I initially had echoed those sentiments publicly. I have come around on this point mainly due to the fact that the quads feel different from the bikes enough to make this feel like its own beast. The loading screens still contain annoying, cocky quotes from the fictional racers and while you can choose from a variety of them, they all kind of felt the same to me. The VR content feels like a tacked-on addition and little else. It’s clear that the devs have put little to no effort in optimizing their games for VR which is shame. 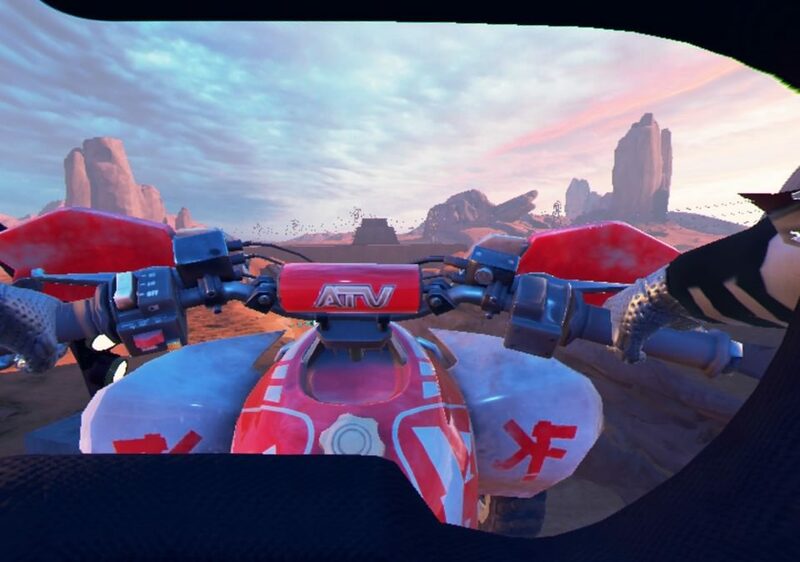 I did enjoy the feel of driving the quads more than the bikes but the limited modes, poor visuals and forced non-VR play make this skippable more than anything else. What would I pay? $10 tops. 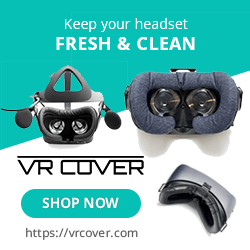 There is much more value in the non-VR content, but for those interested in just VR, you’re better off waiting for a sale or just spending your money elsewhere.